PasswordBox: Save Your Passwords Safely in One Place: Today we are registered in different internet services, making it difficult to remember all the user names and passwords for each of them. PasswordBox is an app for iPhone, iPad, iPod Touch and Android that will help you keep all your information in one place and securely so they do not forget you data back to logon to any of your thousands of accounts digital. The app allows you to store up to 25 passwords in the free version, the sites include Amazon, Facebook, Twitter, eBay, Pinterest, PayPal, Dropbox, reddit, Groupon, Netflix, 4shared, among many others. 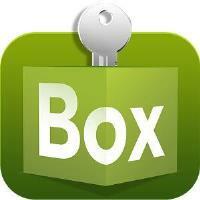 To store more passwords, PasswordBox offers an annual subscription cost of $ 11.99 dollars. Price is a little high, but can be useful if you drive many online services. PasswordBox saves all your data and lets you enter services automatically once you enter the data for all to not have to enter your password manually. You can also redirect the automatic logon Safari browser if the app does not make you comfortable. PasswordBox integrates a digital wallet to store credit card information, passport numbers, notes and letters and even a password generator for you to strengthen the security of your digital accounts. Now all your information is safe and in one place.